7 New Ways to Cook Potatoes – No Stove! No Oven! Potatoes are a near perfect food for humans. They’re also incredibly satiating and versatile. 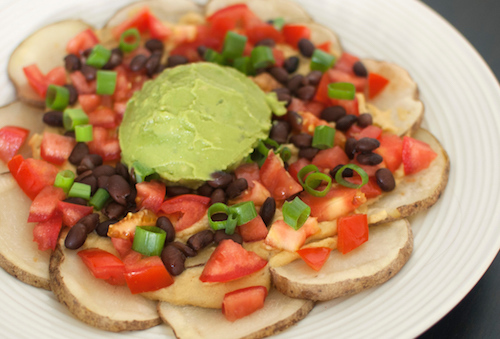 I love making potato “hot dogs”, “pizza” potatoes and of course, POTATO NACHOS! Potatoes also make great snacks on-the-go and you can serve any Meal Mentor meal over a potato instead of in a wrap or on a bun if you want more bulk for less calories (or you’re gluten-free, grain-free, etc). Here are 7 ways to cook potatoes without a stove or oven! 1. Potato Pocket The Potato Express I LOVE this thing. 3. 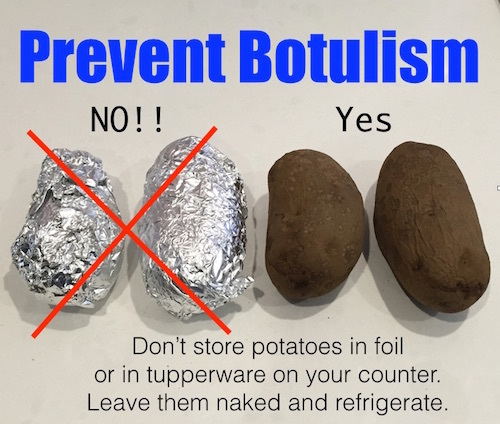 Slow Cooker Wrap each potato in foil and lay along the bottom of a dry slow cooker. LOW for 8-10 hours. 4. Pressure Cooker Add required water. 5. Campfire Place cubed potatoes with other vegetables and seasonings (such as herbs or soy sauce) in foil with an ice cube (unless you have watery veggies like onion or zucchini included). Wrap into a foil pack and place on the coals or over the campfire. 7. Electric Steamer Electric steamers are great for cooking vegetables without a stove. I utilize mine all year when I’m batch cooking. It helps with multitasking because it’s out of your way, doing its job passively in the background while you work on other meals or components. P.S. 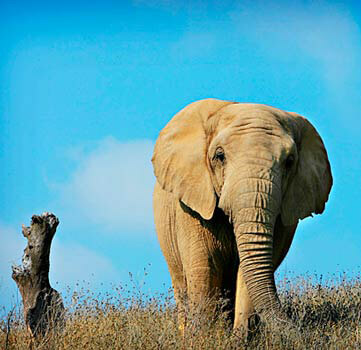 Big contest via Happy Herbivore coming up!! Have Potato. Will Travel—Contest! 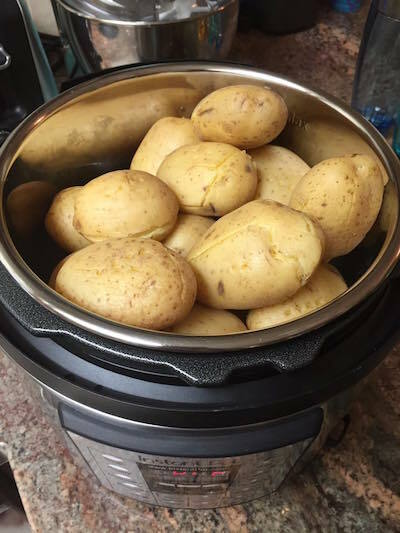 Over the long July 4th holiday weekend, post pics of your potatoes to win loot! Make sure to follow @happyherbivore on Instagram and use the hashtag #HavePotatoWillTravel so I catch it. MM members get a bonus entry for each picture AND if you potato-up a MM meal, you'll get a TRIPLE entry! More details on happyherbivore.com/blog June 30th.